U.S. broadcaster CNN published an article this week by historian Andrea Mammone claiming that the return of conservative former Prime Minister Silvio Berlusconi to Italian politics, along with the popularity of anti-mass migration parties, is heralding a return to fascism. According to Mammone, the policies and rhetoric of Mr Berlsuconi during the Italian national election campaign have “led to the legitimization of the far right” and cites the rise of the far-right Casapound movement and the far-right Forza Nuova. 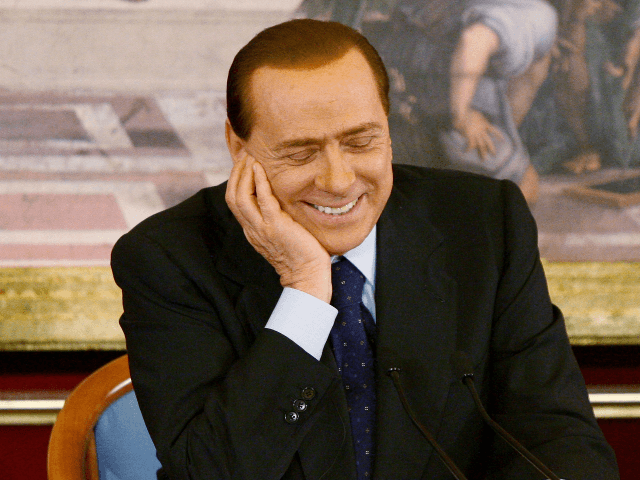 Recent polls suggest that much of the rhetoric used by Silvio Berlusconi, such as promising to deport 600,000 illegal migrants, has resonated with voters as his party along with the populist La Lega, are favourites to win Sunday’s vote. The polls tell a different story for the two far-right parties mentioned by Mammone. Casapound, according to an average of the last 15 opinion polls, polls at around 0.8 percent, well below the needed 3 percent threshold to enter the parliament. The polling numbers for Forza Nuova are so low they are often not even listed. The Royal Holloway historian also mentions several recent events hosted by the Fondazione Feltrinelli entitled “What is Right? What is Left?” featuring French Les Patriotes leader and former Front National vice-president Florian Philippot and French new right philosopher Alain De Benoist. Breitbart London has interviewed both Mr de Benoist and Mr Philippot, who now sits in the European parliament group chaired by former UKIP leader Nigel Farage. Neither men claimed to be fascists or made any support of fascism during the interviews. Mammone also neglected to mention that he, along with far-left George Soros-funded Hope not Hate researcher Joe Mulhall, was involved in a petition to get Dr Benoist removed from the event. Mammone follows Mulhall — also a researcher at Royal Holloway — on Twitter. Far left Hope not Hate have been described as using “dirty, underhand, low down, unscrupulous” tactics by one of their former leading consultants, Dan Hodges, who now writes for the Telegraph. The article is not the first time CNN has pushed the views of someone either linked to Hope not Hate or the organisation directly. In December, Dr Mulhall was brought on as a guest by Christiane Amanpour to talk about U.S. President Donald Trump retweeting several videos posted by Britain First member Jayda Fransen.